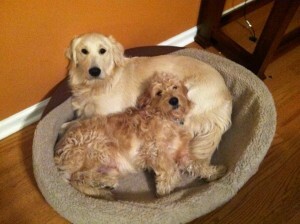 I thought you might like to see a picture of Romeo with our other dog, Abbey! They have gotten along wonderfully together since the very first time they met. 🙂 I hope all is well with you and your family!